“How to Filter” – Forum Thread – Discuss – Symphony. 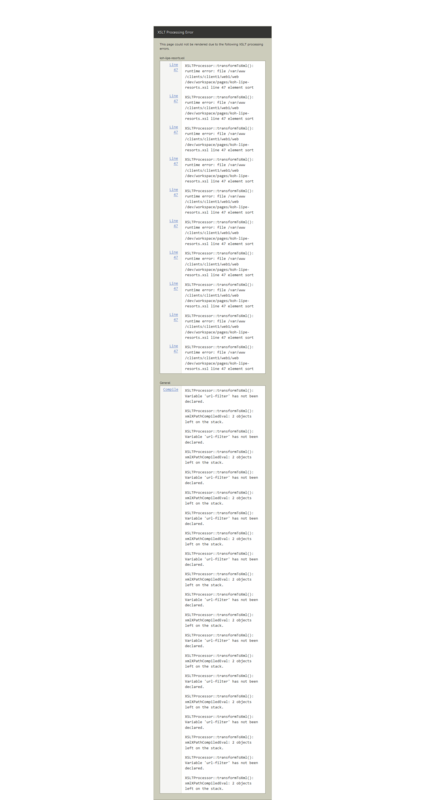 This is an open discussion with 11 replies, filed under XSLT. Got a little stuck in filtering items. Still new to Symphony and looked up allot of forum threads, but none of them gave me the real explanation. I have a page which loads all my items that works perfectly. Now I added a selectbox on top of the page to filter the items on recommendation, name or price. How do I filter my items on these params? Another note: you do not need to ‘define’ a url-parameter for your page, everything that comes with a GET automaticly becomes an available parameter with a $url--prefix. Hmm yeah you’re right, I was so focused on filtering it, that sorting is probably a better way. But unfortunately it still doesn’t work. I tried to use that one, to test it manually, because the $url-filter isn’t working. But he doesn’t sort on this one also. But on some nodes he does sorts. So that’s a bit weird. The sort ‘resort-name’ should work? It doesn’t do anything now. Am I overlooking something? Are you sure it’s there? The XSL only ‘sees’ the XML provided by Symphony. No sorry I didn’t put it in the example code. It’s different to make it easier to explain. When I press submit, $url-filter gets filled with the value of the option and passes it trough to the URL. But the items doesn’t get sorted. So somehow the value doesn’t reach the sorting? I think I know what’s wrong. You need to sort by the name of your xml-field. The value of $url-filter is not the reference to the element, but the name of the element. Haven’t tried this yet for myself, but I think it should work. Yeah that works!, kind of… If i remove the ?filter= from the url, i get a bunch of errors. (see image). Also the sorting doesn’t work for all nodes in the xml? What can that be? The above example sets the default value of $url-filter to ‘resort-name’. Note the single quotes (”) to determine ‘resort-name’ as a string, instead of resort-name the xpath expression. Another question. How do I set my xsl:sort if I want to sort on prices ‘higher then..’ and ‘Lesser then..’ but also keep the resort-name sorting? So there is only one xsl:sort. @Strangerr - This article on “Fancy sorting” from Rowan Lewis (buzzomatic) might be helpful to you. I try to sort e.g. recommended resorts which is a checkbox with a Yes or No trigger. in my form i use the node name for sorting which is ‘recommended’. When I sort it, nothing happens, it just sorts the names?? @Strangerr - Would you mind posting your XML and XSLT on pastie.org and post the links to the code here?